(Sorry, we have not yet had the chance to record Hāwănà with a Chinese native speaker). 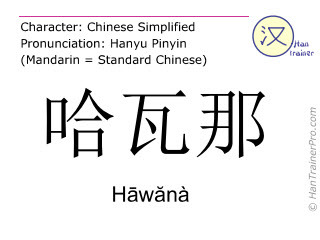 The traditional Chinese characters of Hāwănà are identical with the modern (simplified) characters displayed above. – English translation: In which country is Havanna?